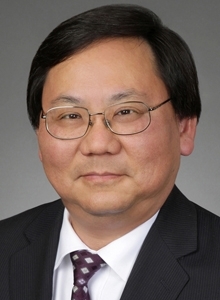 Granta Nakayama is a partner in King & Spalding’s Washington, D.C. office and a member of the Tort & Environmental practice. He served at the U.S. Environmental Protection Agency as the Assistant Administrator for the Office of Enforcement and Compliance Assurance from 2005 through 2009. At the Agency, Granta led the 3,400 employee, $560 million national enforcement and compliance program for all media (air, water, waste, toxic chemicals, pesticides) located at over 40 facilities across the nation. During Granta's tenure EPA achieved record annual pollutant reductions (over 3 billion pounds) and injunctive relief (over $11 billion). Granta also brings more than a decade of experience as a practicing engineer and technical manager to the firm's highly regarded energy practice. Granta represents companies whose products or services are regulated by the U.S. Environmental Protection Agency (either under the Clean Air Act or other federal statutes), the Consumer Product Safety Commission, and State government agencies, such as the California Air Resources Board. Granta's work includes the defense of enforcement actions, other litigation involving regulations and rate proceedings, and the representation of clients in agency rulemakings and Congressional matters. Granta was selected as a "leading lawyer" in the 2012, 2013, and 2014 editions of The Legal 500 U.S. for his work in Environmental: Litigation. He has been recognized in the publication every year since 2010. He has also been listed in each edition of Chambers USA since 2010. The guide calls him "truly outstanding" and a "top-flight lawyer with especially good insight and experience in matters involving government enforcement." In previous editions, clients praised Granta as "incredibly bright and capable in very complex cases," and appreciated the "deep understanding and insight" into the agency that he is able to provide. Prior to his legal career, Granta was recruited into the U.S. Navy's nuclear service by Admiral Hyman G. Rickover after graduating from M.I.T. and served for more than a decade as an engineer and manager responsible for quality control operations in the U.S. Navy's nuclear service. In this position, he supervised manufacturing operations at Navy contractors, designed reactors for nuclear attack submarines, successfully handled the construction of the SSN 21 (Seawolf) prototype reactor, and managed the QC, Welding, and Nondestructive Testing Branch of the nuclear service.